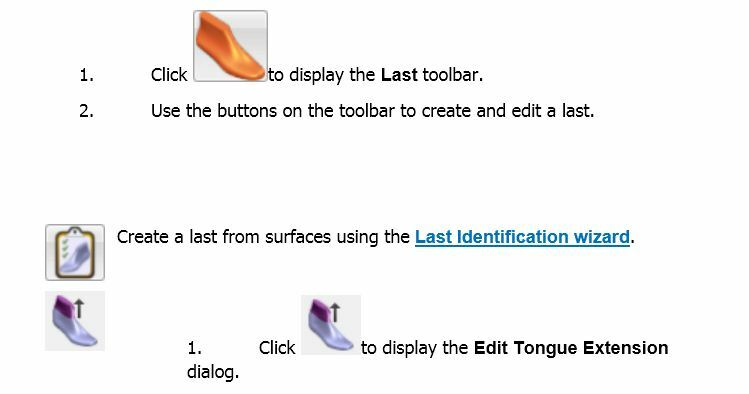 This page is displayed if you are using a last in .stl format. 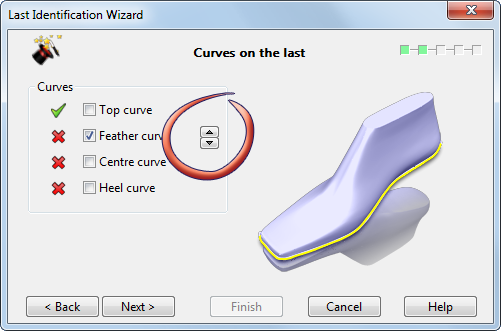 For unified lasts, an addititional option is included on the second page of the Last Identification Wizard: Use to move the feather curve up and down. This helps to create the correct feather line when the feather edge is not sharp. 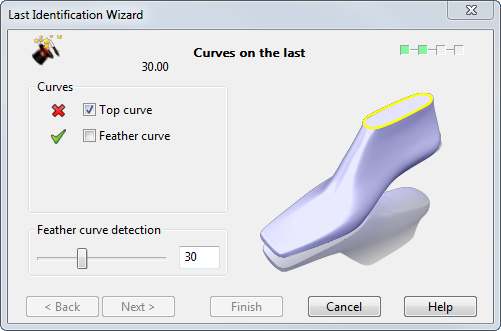 Use the second page of the Last Identification Wizard to select the curves on the last. 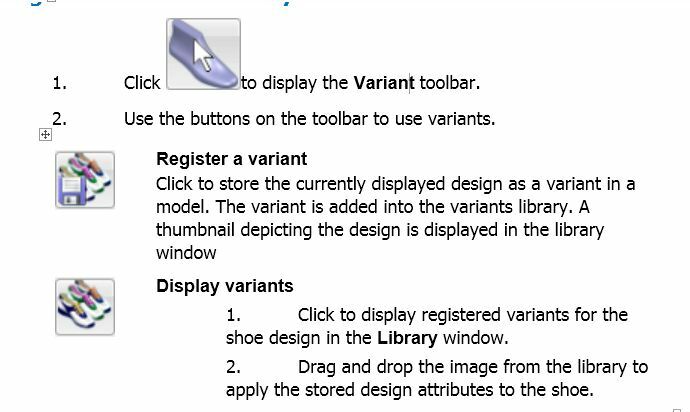 Different versions of this page are displayed if you are using: unified last. STL file. Select the top curve Top curve. This is the first page of the Last Identification Wizard. 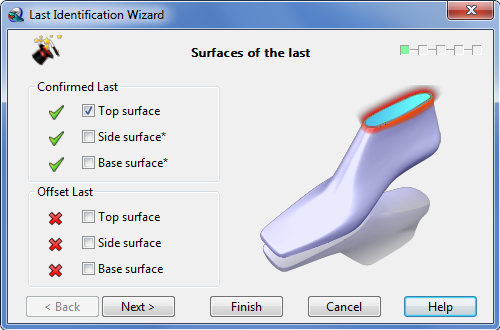 Use this page to select the surfaces of the last to be used by the wizard. Use the pages of the Last Identification Wizard to create a shoe last by selecting a series of points and surfaces from a model of a shoe.